I originally intended for these to be used in my classroom, which they did. 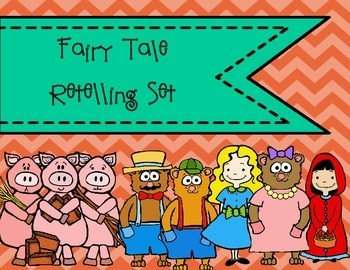 My kinders really love making puppets and retelling stories with them- especially with fairy tales! This really helps them build comprehension and be able to retell/sequence. Since it's summer, I'm working with my own pumpkins on learning for next year. But I think that my own little kiddos need some cute puppets for the summer to play with! That can help my littlest work on her retelling skills for pre-k in the fall. If you want to grab a set too, they are on sale (along with my entire store) for 20% off till Tuesday!